How Heavy is a Watermelon - Average Melon Weight - What About Watermelon? The whole, green striped watermelons we see at the local supermarkets appear similar in size but are they similar in weight? While the majority of watermelons we commonly see lie within just one to two pounds of one each other, there has been a number of cases where enormous watermelons have been recorded. So, how heavy is an average watermelon? While the weight of a watermelon varies, the average weight lies between 20 and 25 pounds (between 9 to 11 kilos). In turn, these average watermelons generally yield 14 to 18 pounds of edible fruit leaving the remainder of the weight in the rind. Keeping the average weight of a melon in mind, this makes the largest melon recorded to date, weighing 350 pounds sound mammoth. 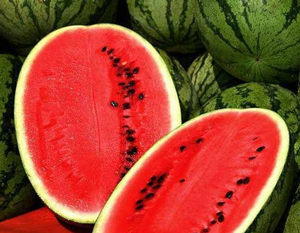 There are over 50 common types of watermelon enjoyed around the world, while there are over 1,200 varieties in total. These 1,200 varieties of watermelon range in color, taste and size. The smallest of these varieties weighs in at 1 pound while the heaviest can weigh up to 200 pounds. 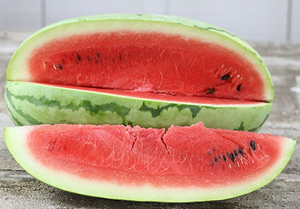 A watermelon that is fed nutrients and allowed to grow to it’s full potential is much more likely to grow larger and weigh more than one that is not watered and is picked before it has ripened. A typical watermelon that can be found at the local supermarket generally measures 16 inches long and approximately 10 inches in diameter. 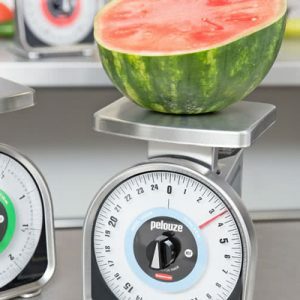 While an average weight across all watermelon species can be determined, the average weight depending on the variety gives one a greater understanding of what their favorite watermelon should weigh. Below you can find a list of commonly enjoyed watermelons and their average weight. This table should give you an idea of how much your favorite watermelon should weigh. 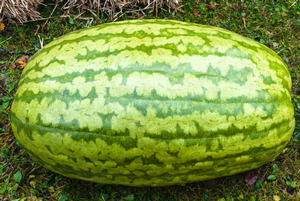 This watermelon has distinctive bright green skin with dark striping. These sweet, rounded watermelons measure approximately 10 inches across and weigh anywhere between 19 to 28 pounds (9 to 13 kilos). The Grey Bell watermelon is often perfectly round and sports bright red flesh and grey/green skin. These watermelons generally weigh anywhere from 13 to 18 pounds (6 to 8 kilos). 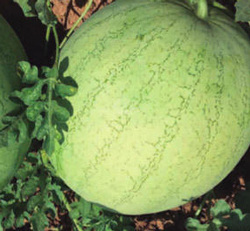 The Carolina Cross watermelon varieties are often titled as the largest in growing competitions. It is common for this variety to produce fruit that is anywhere from 65 pounds to 150 pounds in weight (29 to 68 kilos). 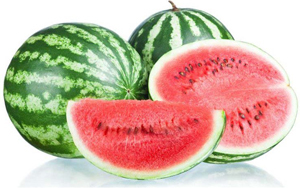 This watermelon variety sports light green outer skin with dark green stripes. The flesh of a Jubilee watermelon is bright red, crisp while firm. 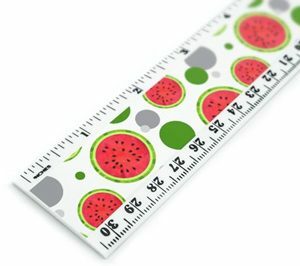 These watermelons are one of the longest and can measure up to 24 inches long (55 to 60 cm). These watermelons generally weigh around the 35 pound mark (16 kilos). This long watermelon variety has a grey/green outer with dark green veins. These watermelons are not the typical round shape and their length is usually around 23 inches. Charleston 76 watermelons can weigh anywhere up to 35 pounds (16 kilos). The heaviest watermelon recorded to date was grown by Chris Kent. 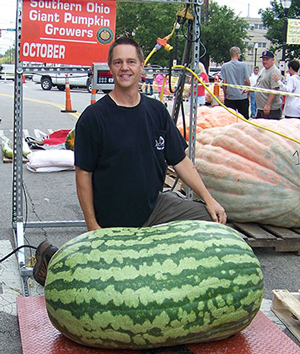 This gigantic watermelon was recorded on the 4th of October 2013 and weighed a heavy 350.5 pounds (159 kilos). Grown in the United States, this watermelon weighed 14 times more than the average melons sold at the supermarket. If an average watermelon weighs 20 pounds a sufficient per person serve can be established. A 20 pound watermelon can generally be cut into 60 slices that are just under and inch thick each. If a single person on average consumes 3 slices, this means that a 20 pound watermelon should be enough to feed 30 people. It is safe to say that a 20 pound watermelon would be more than enough for at least 20 people.